Beautifully cast and extraordinarily detailed, "The Shah" ring depicts a stately lion's head, mouth agape in mid-roar and flowing mane forming the sides of the band. The delicate texture, brilliant contrast and painstaking attention to detail is remarkable, with even the tiniest details like razor sharp teeth and eyelids clearly visible and radiating with regal grace. 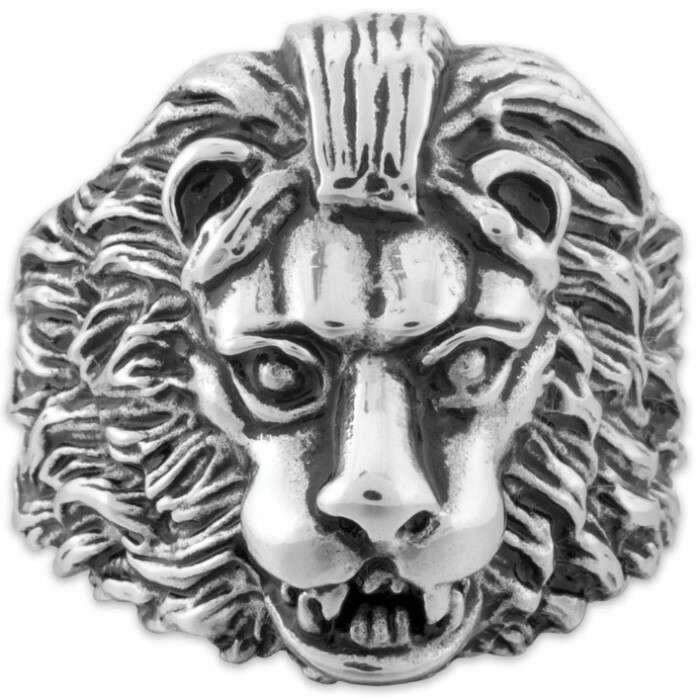 This handsome ring is perfect for individuals born under the "Leo" astrological sign; soldiers, firefighters, law enforcement officers and other brave, "lion-hearted" men; or anyone who simply appreciates fine craftsmanship and outstanding design. Its high quality stainless steel construction boasts a sheen, corrosion resistance and durability that simply can't be matched by traditional, more expensive ring materials. Precious metals like silver and gold tarnish and fade, and even advanced modern ceramics are prone to chipping. 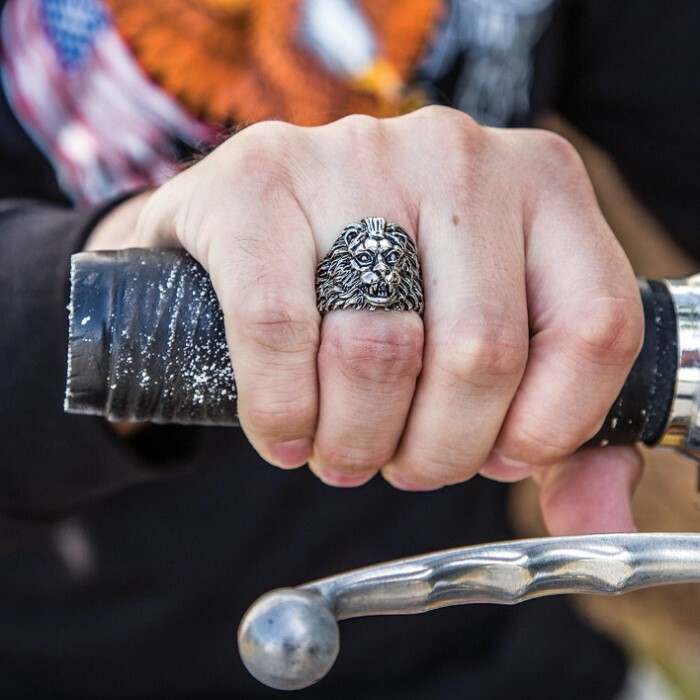 But "the Shah" Ring is truly forged for a lifetime of vigorous wear, so you needn’t fear damage while performing carpentry, vehicle repair/maintenance and other hands-on work. Available in sizes 9-12, we’ve got the right fit for any man. 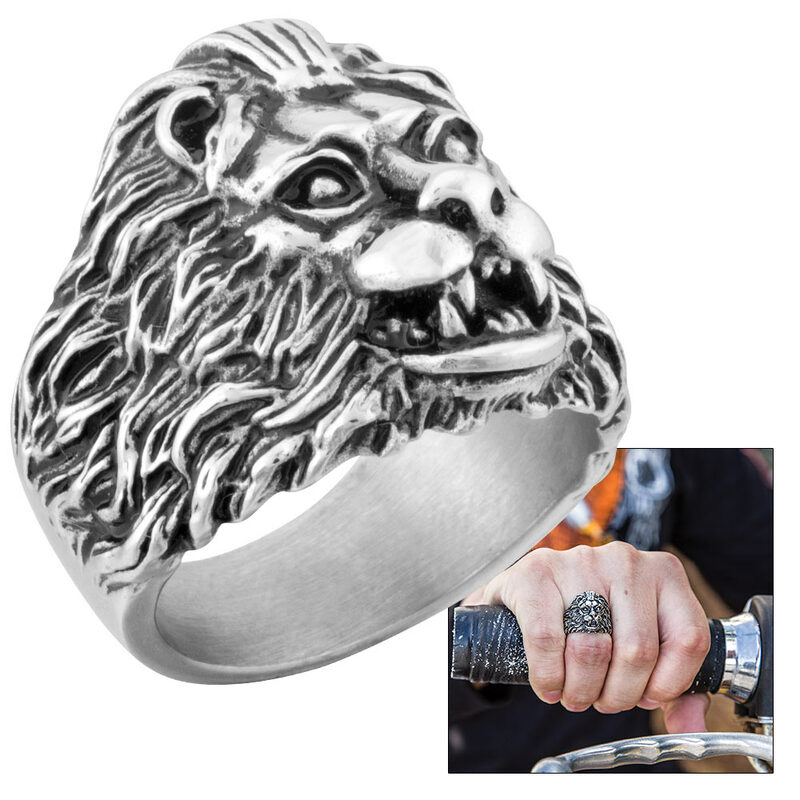 The Shah Lion's Head Men’s Stainless Steel Ring makes a fantastic, memorable gift, and you won’t find better prices on fine jewelry like this anywhere else!